South Vietnamese Army / ARVN 101st Artillery Battalion Patch. Vietnamese silk woven. Unused. South Vietnamese Army / ARVN 104th Artillery Battalion Patch. Vietnamese silk woven. Unused. 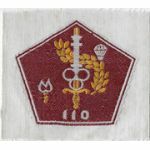 South Vietnamese Army 1st Pattern 10th Division Patch. Vietnamese printed on cotton. Unused. 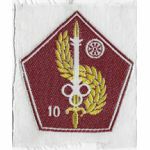 South Vietnamese Army 10th Engineer Patch. Vietnamese silk woven. Unused. South Vietnamese X Peoples Self Defense Force Training Centre Patch. Vietnamese hand embroidered. Unused. South Vietnamese Army / ARVN 10th Quartermaster Directorate Patch. Vietnamese silk woven. Unused. South Vietnamese Army / ARVN 110th Airborne Quartermaster Directorate Patch. Vietnamese silk woven. Unused. 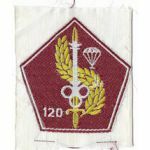 ARVN / South Vietnamese Army 120th Airborne Quartermaster Directorate Patch. Vietnamese silk woven. Unused. 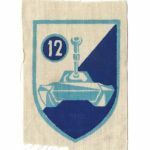 South Vietnamese Army 12th Armor Division Patch. Vietnamese printed construction. Unused. ARVN / South Vietnamese Army 152nd Quartermaster Depot Patch. Vietnamese printed construction. Unused. 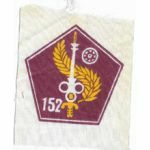 South Vietnamese Army 15th Infantry Regiment Recon Company Patch. Vietnamese silk woven. Unused. South Vietnamese Army / ARVN 16th Infantry Regiment Patch. Vietnamese printed construction. Unused. South Vietnamese Army / ARVN 180th Artillery Battalion Patch. Vietnamese silk woven. Unused. South Vietnamese Army 1st Battalion 56th Infantry Regiment Patch. Vietnamese printed on cotton. Unused. South Vietnamese Army / ARVN 1st Class Sergeant Rank. Vietnamese silk woven. Unused. 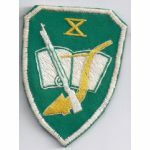 South Vietnamese Army 1st Corps Physchological Warfare Patch. Vietnamese printed on cotton. Unused. 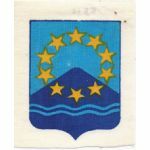 South Vietnamese Army 1st Military Region 2nd Sector Thua Thien Artillery Patch. Vietnamese silk woven. Unused. South Vietnamese Army 1st Military Region 2nd Sector Thua Thin Artillery Patch. Vietnamese silk woven. Unused. South Vietnamese Army 1st Psychological Warfare Battalion Patch. Vietnamese printed on cotton. Unused.